This entry was posted in Uncategorized and tagged diy, Furniture, home decorating, IKEA by Prosecco & Pampers. Bookmark the permalink. I would hardly call assembling an IKEA desk “carpentry”! At least you know what you’re getting from Ikea, that other store should’ve mentioned it was self-assembly. 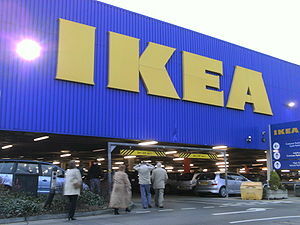 I live in the Netherlands and a lot of the locals name Ikea as one of the best places to eat here! Seriously, they prefer it to most Dutch restaurants, and the Ikea restaurant is always packed!